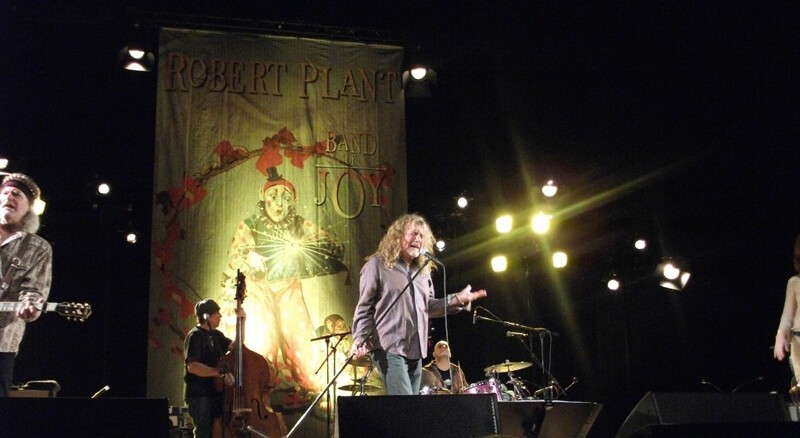 Robert Plant and The Band Of Joy have added two extra dates to their forthcoming North American tour and have also announced their first festival date in the US for 2011. The additional dates are for New York’s Beacon Theatre on January 30th and a second show at the Sony Centre in Toronto on Janaury 23rd. 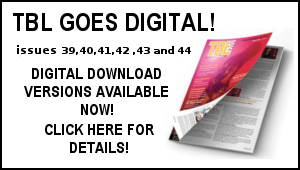 The festival date is at the 38th Annual Telluride Bluegrass Festival, held in Telluride, Colorado over the weekend of June 16th– 19th. Tickets are now on sale. More summer dates are expected. We will have details of the TBL pre gig meet for the London show next week. After the success of the September 25th `Bonzo The Groove Remains The Same’, the all star drummers tribute to John Bonham at the Key Club in Hollywood California, the organizers Brian Tichy and Joe Sutton have lined up two further John Bonham tribute shows. The first is at the Key Club on the January 12th 2011 – with a second show set for The Galaxy Theatre, Anaheim, California on January 13th 2011. 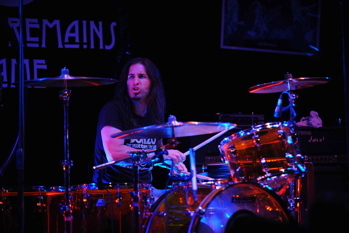 Organizer and Whitesnake drummer Brian Tichy said, “Hey, we all had a great night! It was a huge success and we wanted to do it again. The time and energy that was put into the show made it all the more easy to set back up and hit again! We have the Amber Vistalite drum kit and 3-ring-logo backdrop, so why let it collect dust! 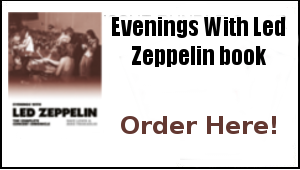 It’s all about tributing to rock’s greatest drummer, John Henry Bonham. That is a timeless endeavour! The communal spirit of the rehearsals and show bonded us and solidified the common reasons why we all chose drumming as a way of life. Yeah! Plus, Led Zeppelin is the best, there are lots of people that wanted to see it but couldn’t, and there’s never anything wrong with giving it up to John Bonham! We’d also like to welcome our friends; fellow Bonzo freaks/ rhythmic bad-asses Charlie Benante (Anthrax), Xavier Muriel (Buckcherry), Jason Sutter (Foreigner, Chris Cornell) and John Tempesta (The Cult, White Zombie) to the festivities! Michael “Denim”Devin/ bass, Keith St. John/ vox and Stephen LeBlanc/ keys. Go to http://www.briantichy.com for all updates and info. And finally, here is a clip of world renowned Zeppelin memorabilia collector Rick Barrett opening his special de-luxe edition copy of the Jimmy Page By Jimmy Page book as it arrived. Ledhed58 I received Jimmy’s book on the 12th close enough to my birthday on Sunday, I received edition 1960 (birthday & year); it is the best belated birthday present I have ever received. The book has exceeded my expectations, it is simply exquisite. 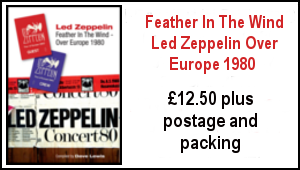 Being a fan of first Led Zeppelin, and then all the members solo projects, over the years, I have seen hundreds of pictures, some are in the book, but a majority are new. When you look at the man through these photos, and turn page by page through the decades, you get a deeper understanding of the magnitude of his contribution to music. Jimmy is one of the greatest guitar players of the 20th Century, in my opinion he is the greatest. I love the book, Jimmy and all of you at Genesis for making this happen. Though I have not seen the Deluxe Edition in person I think I would have choosen the collectors edition because of the cover, how unique, just like our Jimmy. For those of you still waiting for your copy, It IS all that & a bag of chips. Just recieved #622 of the twenty-five hundred, WOW !!!! Worth every penney and the long wait. From the first picture to the last, truly an amazing testament to this man’s contribution to the music world. 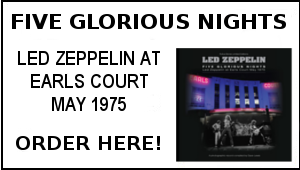 His comments and insight into the photo’s are priceless…thank you, Genesis Publishing and Jimmy Page, for this truly remarkable book. The pictures of the O2 show were spectacular and only made me wish Jimmy would put that DVD out as soon as possible, I am sure it would be the highest-selling music DVD of all time… for those of you who complained about the price of this book, you have to see it and hold it in your hands and see that signature to truly appreciate it..I count myself blessed to own one of these….Peace…. I received word yesterday from Genesis that my Collectors Edition would now arrive in January instead of December. I received a nice letter and a great leaflet about the book (another collectible) and $60.00 US towards the purchase of any item with no expiration date. This is a very nice gesture on their part (perhaps I’ll use it when Robert or JPJ decide to do a book (wishful thinking I know). I’ve been in anticipation of this grand work since I believe the Feb. issue of MoJo. Perhaps it will arrive in time for my birthday 9, Jan. I also share this astrological marker with the man himself and have reserved issue 1960 so it would be fitting. It’s a magical time of year so anything is possible. THE CLIP OF RICK OPENING PACKAGE WAS PROBABLLY NEAREST THING TO AN AUTOPSY AND WHO CAN BLAME HIM. JUST GLAD BOOK WAS ACTUALLY IN THERE !! Dave, superb content as ever. Just a query on the BCC London date. 30th December I hope?! Got the book delivered today- not allowed to open until 25th Dec. And not going to watch the above You Tube Clip. Now it is starting to feel like a good Christmas is around the corner ..
That was so sweet, what a lovely guy. Way cool watching Rick Barrett open his package.